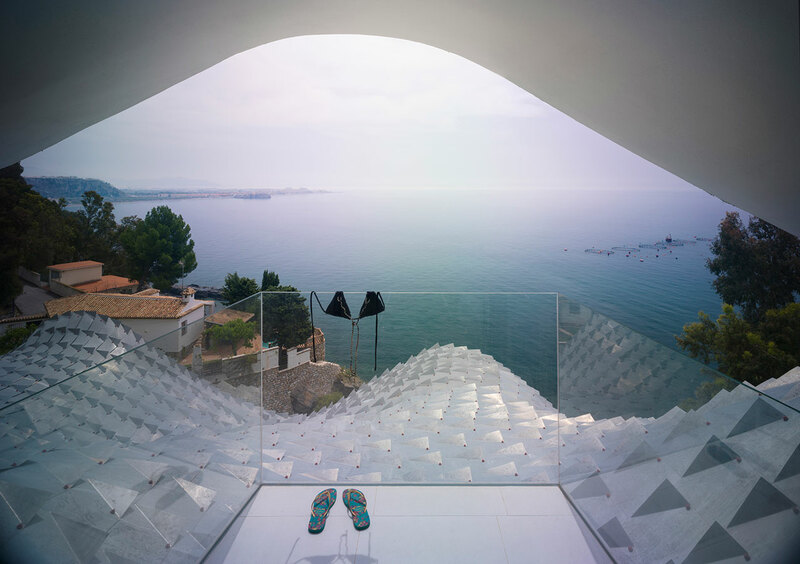 A house with an exterior evocative of a dragon's hide sits perched on a cliff overlooking the Mediterranean Sea in south Spain. 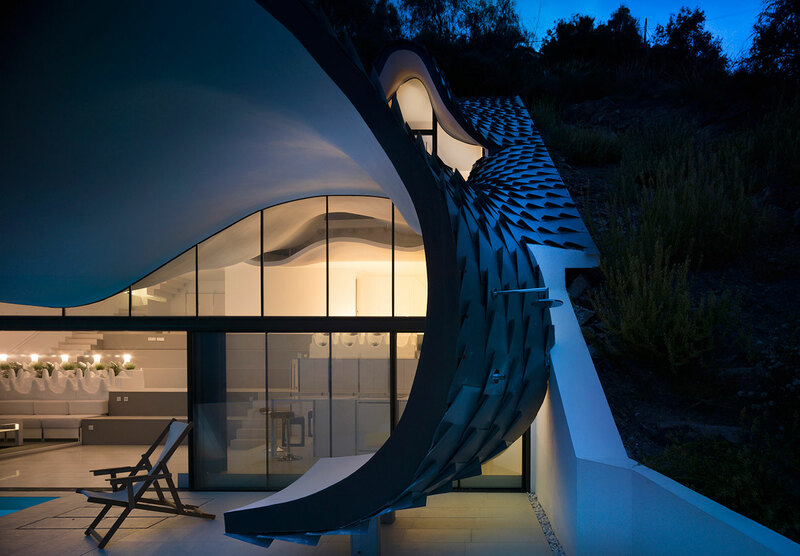 Designed by GilBartolome Architects, the distinctive house juxtaposes the natural and artificial with its metallic roof against the mountainside and rolling waves below. Working with a small budget and very ambitious ideas from the client and architect, the house already faced challenges. Add in a 42 degree slope to build on and the project is ambitious to say the least. A young couple privately commissioned the project. To combat budget issues the house construction relied heavily on local labour and craftsmanship. 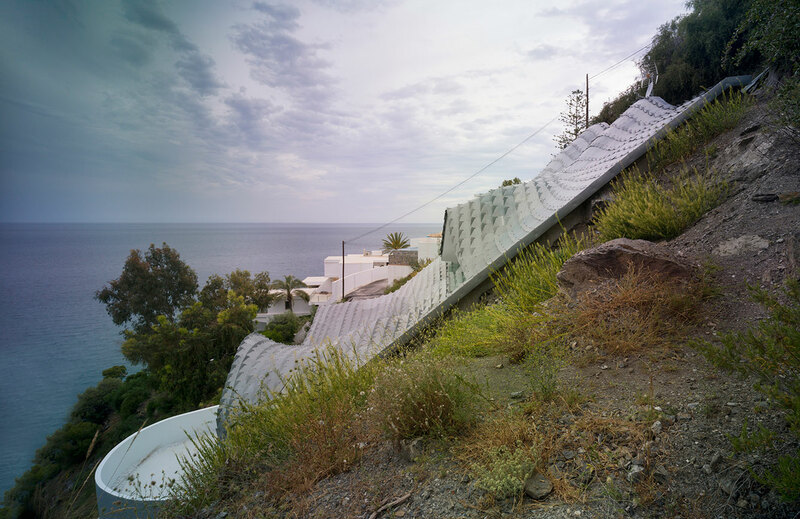 GilBartolome noted that the house was built during the most difficult financial crisis in Spain during 2013-2014 and decided to, 'avoid machine made industrial construction systems and develop an architecture that is based on many hours of labour'. GilBartolome commented that some of the most complex elements of bringing this design to life were through the long hours of labour in place of machines. 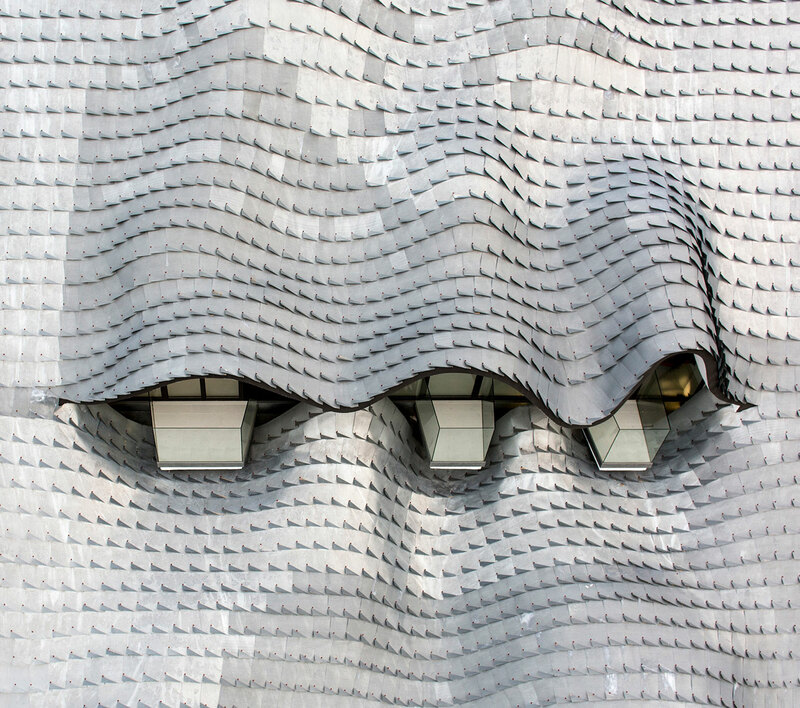 A deformable metal mesh was crafted into a formwork system by local engineer Dr Manual Rojas and manufactured at a cost notably lower than other timber or steel formworks conventionally used in construction. 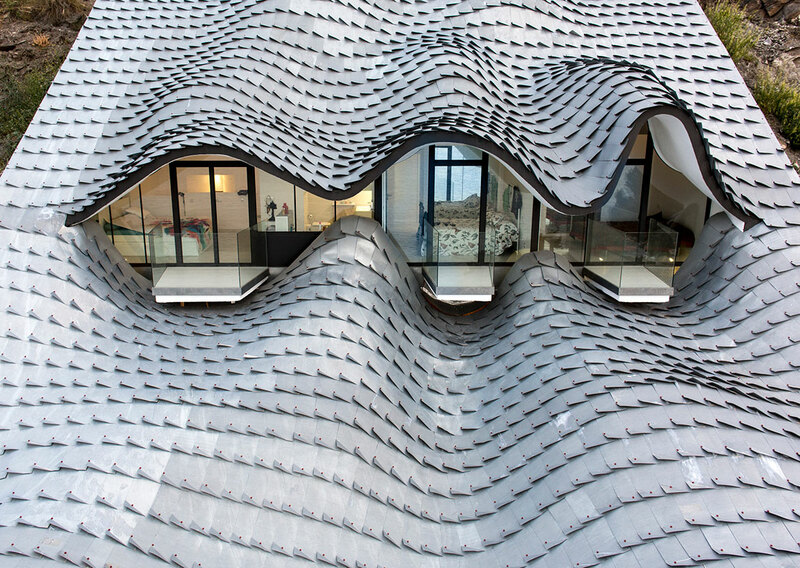 To create the roof's 'scaly' appearance it was finished with zinc scales handmade and hand placed, again reducing costs from other prefabricated systems available. 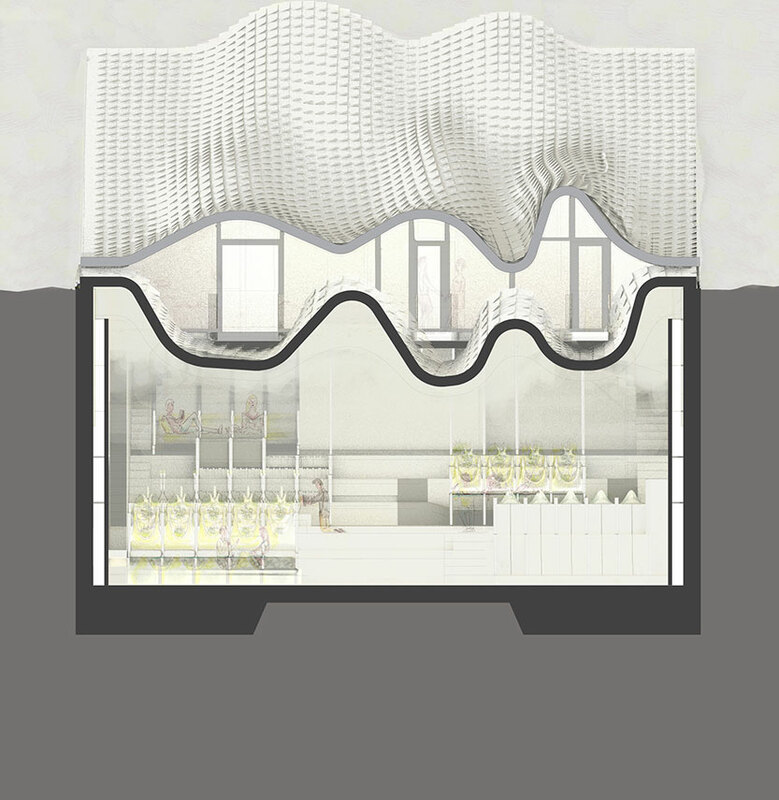 Additionally, the interior bespoke furniture was designed via digital design software before being manufactured on site with fibreglass and polyester resin. This resorted back to traditional methods and gave the workers creative flexibility with the designs to carry out the general aesthetical goals. 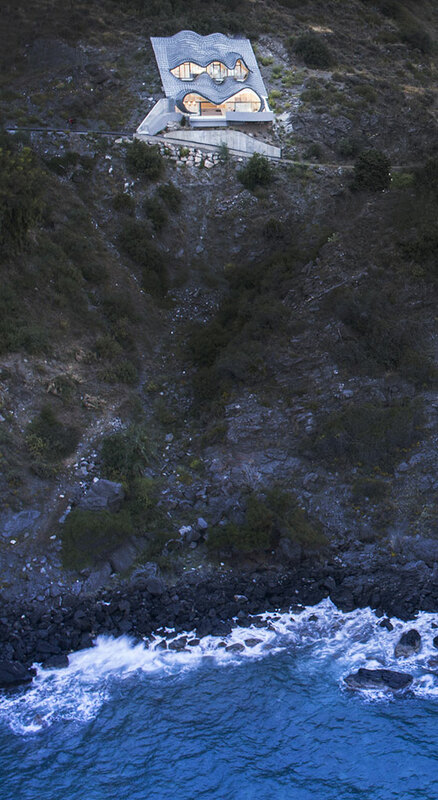 The ground's year-round temperature of a constant 19.5 degrees Celsius assists the two-storey house with its position buried into the mountainside. The first level is comprised of a living area where a moveable glass facade leads out onto a cantilevered terrace with a pool. 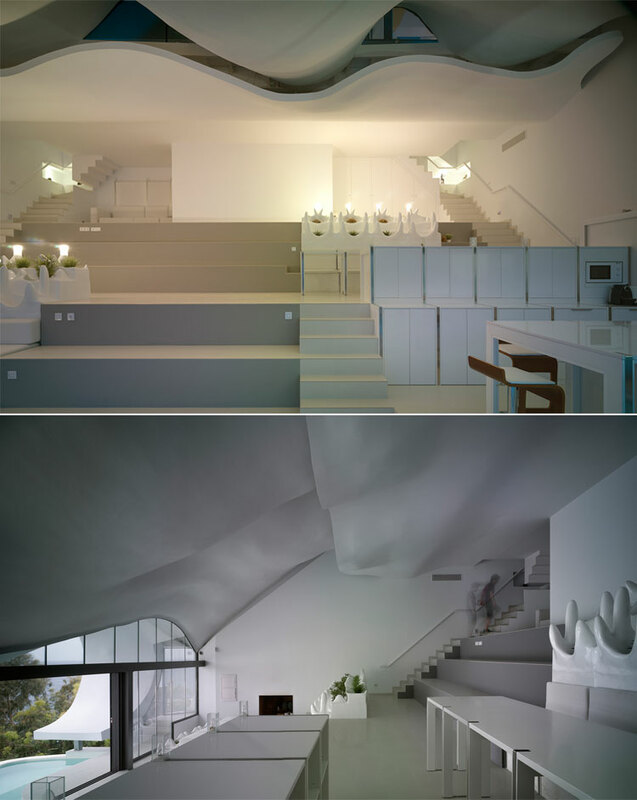 This interior space is 14.5m across and covered by a shell of reinforced concrete. What's remarkable about it though is that the shell is completely supported by retaining walls on either with no internal support in the form of columns or walls. Hence this makes a great home for hosting as many as 70 people with its uninterrupted interior not to mention the breathtaking surrounds. The second floor looks out across the unique rooftop, with all areas - bedrooms and bathrooms - facing the sea, providing unsurpassed views of the Mediterranean. Now that's a view to wake up to. Roof deck: Zacarías Timón, Cerrajería Salinero S.L.